Philip Seymour Hoffman's death on Sunday of an apparent heroin overdose left his colleagues and fans shocked and saddened. Unfortunately, there was also a quick rush to judgment – as is always the case with the internet. The fact that Hoffman was clean for 23 years before relapsing in 2012, according to TMZ, is nothing short of tragic. For those of you cynically wondering why a major Hollywood star would "need drugs," his previous usage pre-dates his first role: a Season 1 episode of "Law & Order" in 1991. It just goes to show that once addiction of any kind takes hold of a person, it never truly lets go. Hoffman was described by CNN as an "actor's actor." No matter how big or small the role was, he always made it memorable. 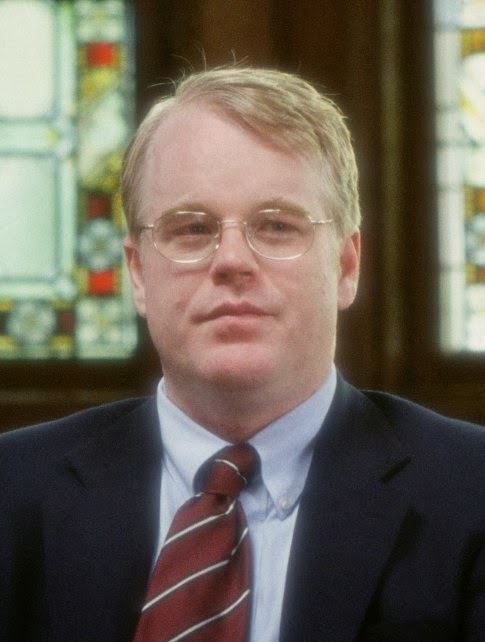 From "Scent of a Woman" to "Along Came Polly," everyone I talked to had an immediate opinion about their favorite Philip Seymour Hoffman performance. 25th Hour: In the hands of almost any other actor, this portrayal of a nerdy, naïve teacher who becomes almost unwillingly entangled with a female student would have come across as creepy and repulsive. But Hoffman is a rare breed. In a very difficult, tricky role, he was somehow able to infuse the degree of humanity necessary to generate sympathy for such a complicated, deeply-flawed character. 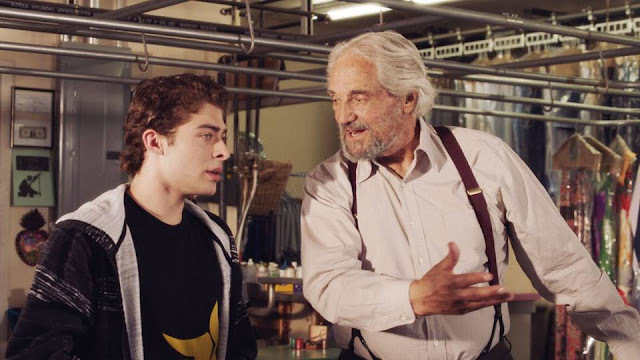 Charlie Wilson's War: The stark contrast between the timid Jacob Elinsky in "25th Hour" and the bombastic, ill-tempered, and foul-mouthed but highly entertaining Gust Avrakotos in "Charlie Wilson's War" is enough to demonstrate Hoffman's staggering level of talent. It was obvious that he was relishing every second on-screen. Almost Famous: "You cannot make friends with the rock stars!" Hoffman (as real-life music journalist Lester Bangs) warned the young, impressionable, doe-eyed 15-year-old writer who came to him for advice. I'll keep that in mind when Clooney discovers this site. This is one of many examples of Hoffman making the most of very little screen-time. Capote: He lost weight, altered his voice, and ultimately won the Oscar. It's easy to see why. As always, Hoffman completely transformed and immersed himself in the role of the controversial author and screenwriter who bragged about his 94-percent recall – his ability to memorize that much of every conversation. The Ides of March: The uneven "Ides" features a dream cast, but it wasn't George Clooney, Ryan Gosling, Paul Giamatti, or Marisa Tomei who drew me to the theater – I bought a ticket because of Philip Seymour Hoffman. Specifically, his incredible scenes about loyalty and choice: "There's only one thing I value in this world, and that's loyalty. Without it, you are nothing." and "It doesn't matter what you thought. It matters what you did. It matters what you didn't do." Simple dialogue, yes, but incredibly effective and powerful coming from Hoffman. He was always able to shine, even when the movie – like this one – wasn't as good as he was. There are so many others I could name. Too many! Everyone has their own favorites. One example: "I have to tell you about this weird movie I saw!" I've heard that sentence more than a few times from friends eager to recommend something they have discovered. They're excited, anxious to tell me, because no one else could have possibly seen this! At this point, I already know exactly what they're going to say. Always, inevitably, they're talking about "Happiness" – a bizarre, unsettling film starring Hoffman, written and directed by Todd Solondz (perhaps best known for "Welcome to the Dollhouse"). I still haven't watched it myself, but I will – one day. I've also shared many a laugh with friends over the physical resemblance or similar attitude between a Hoffman character and someone we know personally. Whether it was "Along Came Polly," "Charlie Wilson's War," or – gulp! – "Happiness," such comparisons were possible because his acting was so natural, realistic, and truthful. Philip Seymour Hoffman was only 46 years of age when he died. He left behind an incredible cinematic legacy – and a long line of future roles that will now never be.